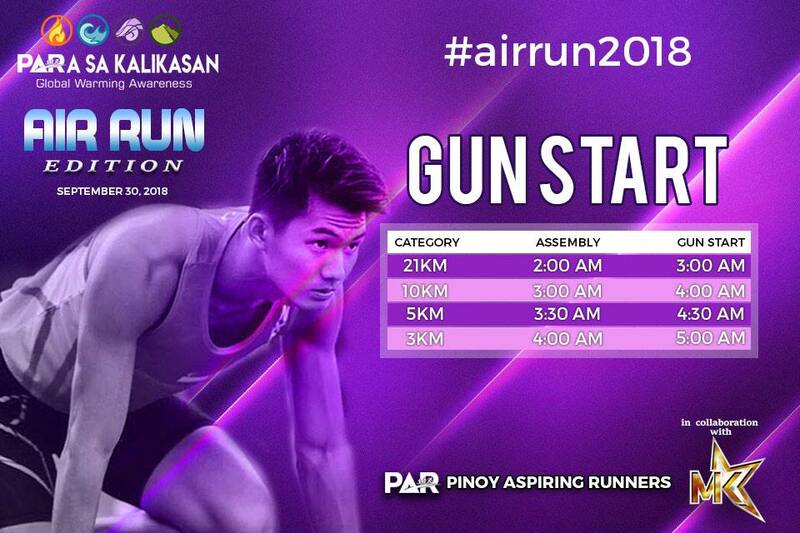 Pinoy Aspiring Runners (PAR) holds the 3rd installment of their 4-part series run, "Para sa Kalikasan Run." 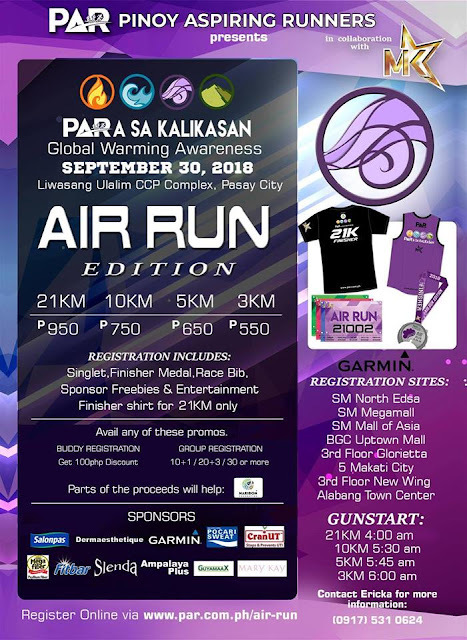 The Water Run will be held on September 30, 2018 (Sunday) at Liwasang Ulalim, CCP Complex, Pasay City. It was indeed a successful event having held the Water Run (June 17) and the Fire Run (April 15) that witnessed close to 5000 participants in both events. 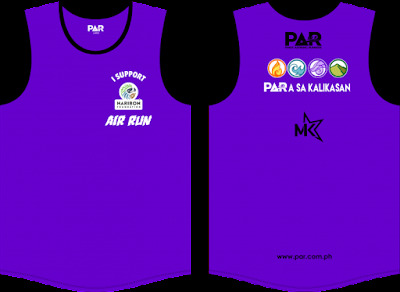 Race kits in all categories include a singlet, race bib, finisher's medal. 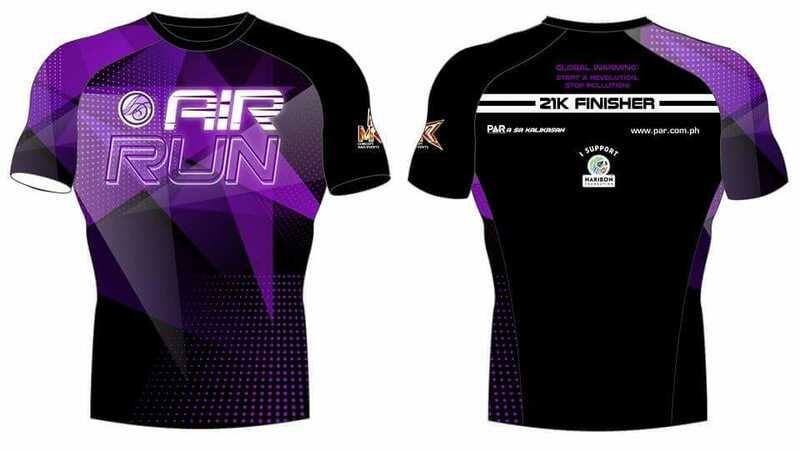 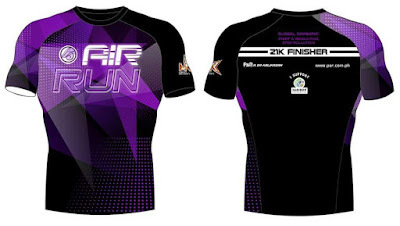 Only 21K category includes a finisher's shirt.